Greenpeace’s “Detox” campaign is having a banner month. Not only did the environmental nonprofit convince Zara, the world’s No. 1 apparel retailer, to commit to eliminating hazardous chemicals from its supply chain by 2020, but it also obtained similar pledges from two other leading high-street brands this past week alone. Following public pressure in response to Greenpeace Toxic Threads report, which pilloried the garment industry for poisoning the world’s waterways with hormone-disrupting substances, Hong Kong-owned Esprit and Spain’s Mango have both agreed to work towards the goal of zero discharge of chemicals like alkylphenol ethoxylates, perfluorinated compounds, phthalates, brominated and chlorinated flame-retardants, AZO dyes, and heavy metals such as cadmium, lead, mercury, and chromium (VI). Mango and Esprit are the ninth and tenth brands, after Adidas, C&A, H&M, Li-Ning, Nike, Puma, Marks & Spencer, and Zara, to make “credible commitments” to clean up their supply chains and products since Greenpeace launched its Detox campaign in 2011. 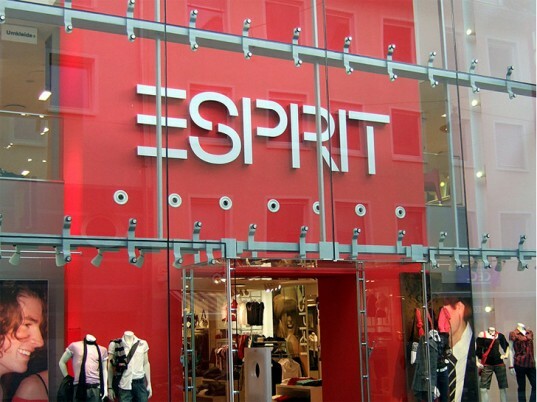 Mango and Esprit are the ninth and tenth brands to make “credible commitments” to detox their supply chains since Greenpeace launched its campaign. As part of the roadmap they’ve established, the companies have promised to work with their suppliers to disclose their pollution data by the end of 2013, particularly with respect to local communities living in or around discharge sites. The nonprofit has since turned its attention to Levi Strauss, the world’s leading jean manufacturer, for its lackluster chemical-management policies and programs. Greenpeace's "Detox" campaign is having a banner month. Not only did the environmental nonprofit convince Zara, the world's No. 1 apparel retailer, to commit to eliminating hazardous chemicals from its supply chain by 2020, but it also obtained similar pledges from two other leading high-street brands this past week alone. Following public pressure in response to Greenpeace Toxic Threads report, which pilloried the garment industry for poisoning the world's waterways with hormone-disrupting substances, Hong Kong-owned Esprit and Spain's Mango have both agreed to work towards the goal of zero discharge of chemicals like alkylphenol ethoxylates, perfluorinated compounds, phthalates, brominated and chlorinated flame-retardants, AZO dyes, and heavy metals such as cadmium, lead, mercury, and chromium (VI).